White tea is the least processed tea, as the leaves are allowed to wither for a long period of time without any physical interferance with the structure of the leaf before they are slowly dried in low temperature. Traditionally this would mean sun-drying. 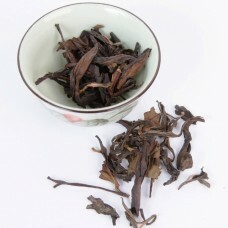 During this process light oxidation occurs, therefore, white tea can be classified as a lightly oxidised tea. 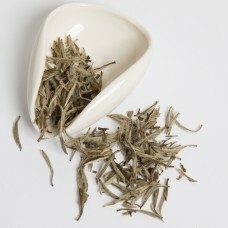 In general terms white tea offers refreshing and mild flavours, often reminiscent of hay and honey. Abundance of ani-oxidants is another typical quality. We have selected some fine examples of this tea family ranging from teas for day-to-day consumption to some rare gems for special occasions. *** Sold Out! We're currently working on sourcing a substitute of a similar quality***30 years aged .. 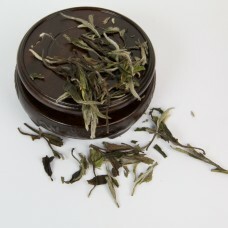 This 3 years old White Tea is rolled in small pearls. 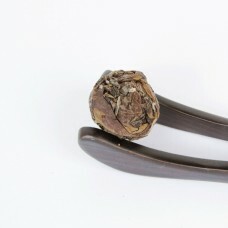 One pearl is enough for a cup or a teapot, and..
Also known as Bai Hao Yin Zhen or the White Downy Silver Needle, this tea is produced from the soft..
Bai Mu Dan makes an excellent every day white tea. Delicately savoury yet sweet and fresh, Bai Mu Da..